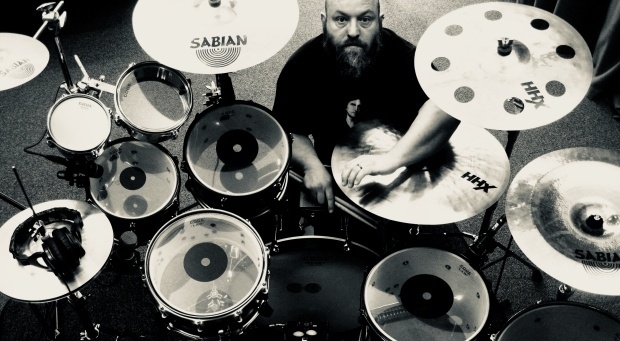 In 2018 multi-instrumentalist, drummer, orchestral percussionist, session musician and composer Alan Emslie released his first solo album in thirteen years. Not a man who likes to hog the limelight, but one who prefers to let his music do the talking. However we did persuade Alan to chat to us about his latest album, Obnubilate and offer a glimpse into the man behind the music. 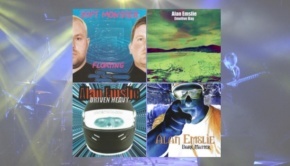 As mentioned in the intro, it’s been thirteen years’ since the last Alan Emslie album, what prompted the return Alan? After the release of Dark Matter in 2005, I went through some traumatic events and it took 5 years to start making my own music again. I started Plastic Noose in 2010 and I’ve been very busy with that and my other musical performing/recording commitments until the last Plastic Noose album in December 2017. I had so many musical ideas flying around my head for years and I decided that I wanted to start to get them down. Obnubilate is just the beginning of that process. Simply put, the time had come and it felt right. For those not familiar with your work, the interim period has you working as a baroque timpanist, as well as guesting on several side projects, and of course the somewhat darker project Plastic Noose. Can you fill us in on some of these? I’m very happy being an ‘invisible’ musician, so much so that I quit all social media in early 2014. It harms me publicity wise, but for mental health it’s essential and I’ve never regretted it. So, yes, I’m a classically trained musician and I’ve had the privilege to perform and record timpani and percussion/drums with some fantastic orchestras and groups worldwide. From the Carnegie Hall to Glastonbury, from Hong Kong to Bogota. I’m on hundred’s of recordings, too many to remember. To be honest… it sounds like I’m some kind of big cheese, but I’m just a person struggling on, like so many, with a silly job. Obnubilate is truly a solo album, and unlike previous releases you’ve not called in any guest musicians. Is this a reflection of you having a vision of how each of the tracks would sound? As mentioned in my review, I would like to ask you to run us through your thought processes for a few tracks from Obnubilate. 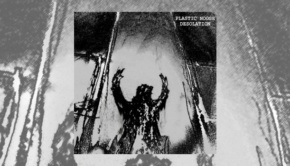 Let’s kick off with Planned Obsolescence – in many respects a track that harks back to the dynamic opening of Floating? With Planned Obsolescence, my idea is of human planned obsolescence. I improvised a live drum part in one take (see video) then later added a stereo live keyboard part, guitar, etc. This track came together very quickly, but was tricky to mix. As for other tracks, Farewell started out as a little “doodle” I played in the early ’90s on a vibraphone at music college. During a break in my drum recordings for Obnubilate, I pulled a marimba into the studio and played it through three times, recording it on the drum room mics. What you hear on the album is the third take once I’d remembered the correct notes! Sweet Dreams is a track about revenge… how bad people can’t escape their actions in their dreams. The opening track Dark Triangles was the first thing I ever played on my 8-string guitar… and even then I didn’t use the lower extra strings! I then added some percussion instruments which I bought in Cambodia, USA and Canada. I would describe my music making as spontaneous. All your recordings are live takes and you pretty much eschew the idea of editing them, so Pro Tools and auto corrects are totally out the window. You’re very passionate about this – can you give us your insights here? This is a huge topic. Basically, I don’t enjoy modern recordings as much as older (dare I say it) analogue (or very early digital) recordings. You hear modern recordings and you go “WOW! THAT SOUNDS AMAZING” and then after 10 seconds you are bored and click on the next one. Some people seem to think that editing everything so it’s perfectly in time, in tune, blah blah blah is the way to go. I think it makes for sterile uninteresting music and I’ve performed on records that show just that. I can remember the takes and they were on fire. We listen back and it’s fantastic. The recording comes out after being “edited”, etc., and I can’t even recognise it. So, just for the hell of it, I decided to try to capture my own music in live takes to capture what music is… special moments in time. This all started with Plastic Noose in 2015. Just to explain, I am multi-tracking my music, but that’s so I can perform all the parts live myself. A wee Scottish Hermit Musician you might say! Oh yeah, I’m tempted all right! (laughs) I make plenty of mistakes, or should I say NON-PERFECT sounds! For example on Planned Obsolescence you can hear me click my drumsticks together during one of the fills. A friend called me up and pointed this out to me recently and I asked them if it spoilt the music and their reply was “no, I was just happy to hear you make a mistake!” I use ‘friend’ in a loose way you understand. Honestly, the really special moments in music often come out of the unplanned or ‘mistakes’. Unless it sounds bad it’s left in. I try to record everything on the first take if possible for that live ‘on the edge’ feeling. If there’s a common theme that runs through all your music it perhaps goes without saying surrounds rhythm. With this in mind, tell us about Patterns. The Duchesse de Bourgogne – this really is fun track – what’s the story behind this one? Duchesse de Bourgogne is one of the best beers in the world and comes from Belgium. Try it! 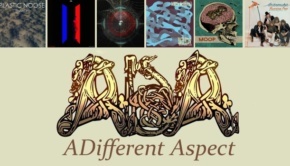 This is a fun track and yes, I admit it, it’s probably not what you expected me to produce. I’ve always enjoyed bands like The Prodigy with that hard hitting edge and this one has been on the back burner for a long time. Okay now the biggy – the album’s twenty five minute title track. So, the final track Obnubilate. This track, believe it or not, is played on guitar only. With the last Plastic Noose album Enmity, I closed the album out with a very long track and it’s just a phase I’m going through. I really love how this music is so mind bending. Strangely relaxing yet super intense at the same time. I think after the brutality and relentlessness of The Projectionist, it sits perfectly to give the listener some come down time. I recently made a video for this track which I think you might NOT enjoy! Watch it! Cheeky question I know, but did you ever feel tempted to do a bit of a Phil Collins drum fill, similar to the now infamous break in In The Air Tonight – as a tension breaker? As anyone who knows my music will testify, I’ve played a few Phil Collins’ type fills over the years. His drumming back in the day was always an inspiration to me, alongside Neil Peart of course. Actually, there’s a funny story about that fill. I think it was in 2010, I was playing a show at The Roundhouse in London and the sound engineer was Andy Rose (who engineered Rush’s Exit Stage Left btw!) 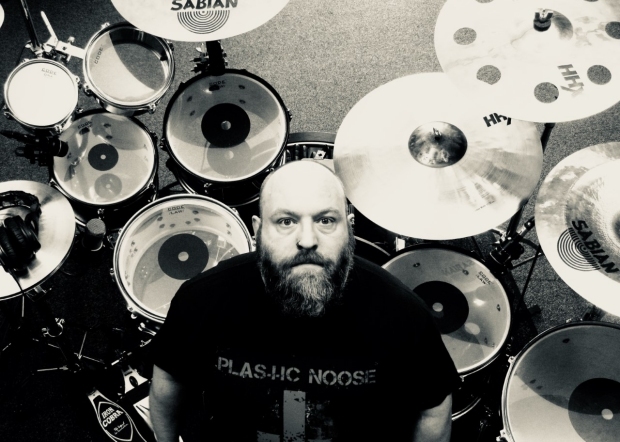 and we were having a right laugh in the soundcheck and he jokingly said to me “do you think you could fit in that massive Phil Collins drum fill at some point…it must be worth a pint”. I shrugged it off and said something like “I’m a professional for god’s sake”. During the show there was a beautiful section with solo singers leading into a heavy groove with myself and Charlie Jones on bass. As the singers faded and the band waited for my count in, I turned my head to the front of house mixing desk, stood up, sat down and played the loudest In the Air Tonight fill you can imagine and then went straight into the groove. A few seconds later I looked out to front of house and Andy was lying on the mixing desk laughing. I’m not sure how musical it was, but it was a very special moment. Now, where is my pint? Of wine! So before we wrap up – what’s next?